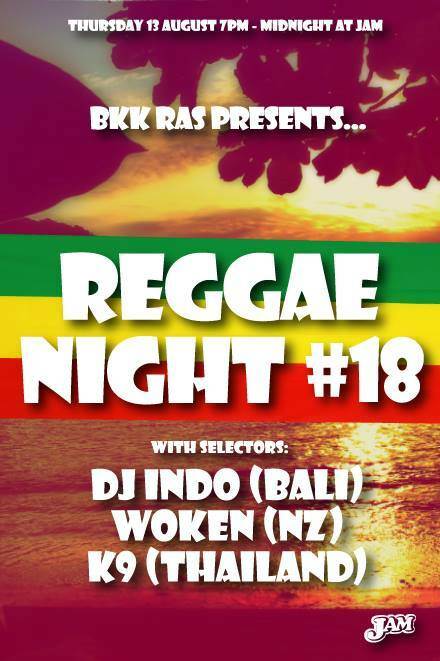 Bangkok Reggae Appreciation Society spreading positive vibes. A self confessed music head and the founding force behind the Bangkok Reggae Appreciation Society. Previoulsy hosting underground radio show: 'Big Up Radio' in 2012 in New Zealand. In 2004 WOKEN began collecting vinyl records from local record stores and importing bulk vinyl lots direct from Jamaica. His attraction to Reggae Music was due to the positive vibes in the music, the depth and breadth of the genre, the consciousness in the messages and the work rate from the artists and producers within the industry. WOKEN digs far and wide for his selections spanning, Roots, Dub, Nu Roots, Ragga, Dancehall, Dubwize DNB, Dubstep, Jungle or Digital Reggae.